This is what I initially got when I select a cell in _Excel1.xls. I was surprised to see no Active Window Title. When I select a cell in another workbook (not _Excel1.xls) it reverts back to the _Excel1.xls sheet not the one I selected. Ugh. $aWorkBooks[$i] = StringInStr($aWorkBooks[$i].Application.Caption, $aWorkBooks[$i]) > 0 ? $aWorkBooks[$i].Application.Caption : ""
I now get neither working. Not not even _Excel1.xls. Could it be the 3 in $iSearch = _ArraySearch($aWorkBooks, $aWinList[$i], 0, 0, 0, 1, 1, 3) ? Here's the full code now. It works fine for me, can you check that $aWorkbooks Column 3, can match a Window Title in $aWinList Column 0? Here's what I'm getting it looks like what you call Active Window (Application.Caption) is blank. I'm not sure why I'm using your code from above example. I've been working in parallel on another variation, and so far this seems to work. 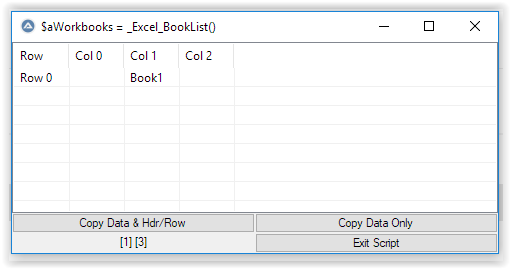 ;notice seaching "_Excel1.xls  [Read-Only]  [Compatibility Mode]" for a partial match with "_Excel1.xls"
;it should be looking for "_Excel1.xls" in "_Excel1.xls  [Read-Only]  [Compatibility Mode]"
In either version _Excel_BookList() seems to be really slow. Is it slow for you? Okay further testing done and there appears to be a fundamental problem using WinList - try the following program and you'll see that the Book in Excel is not listed in WinList - UGH Or am I doing something wrong? Haven't read the whole thread but I would try the following. If IsObj($oExcelWindow) Then                     ; Is there an active window for this Excel instance? BTW: Your debugging statement won't work as the Parent and ActiveWindow property return an object which can't be displayed using MsgBox. Thanks for that comment. So how do I display the text of the parent, active window, and active cell? I'd like to verify that I've got the correct objects. If IsObj($oExcelWindow) Then                      ; Is there an active window for this Excel instance? So I put $oActiveCell in the Global at top. So far not my day but I appreciate all the help. water - thanks I really appreciate it. No rush as I've been working on it for weeks. What started out (see first post) as what I thought would be simple is, so far, not turning out to be so simple. Sure. Here's the 2 instances and what the titles show from running the program. 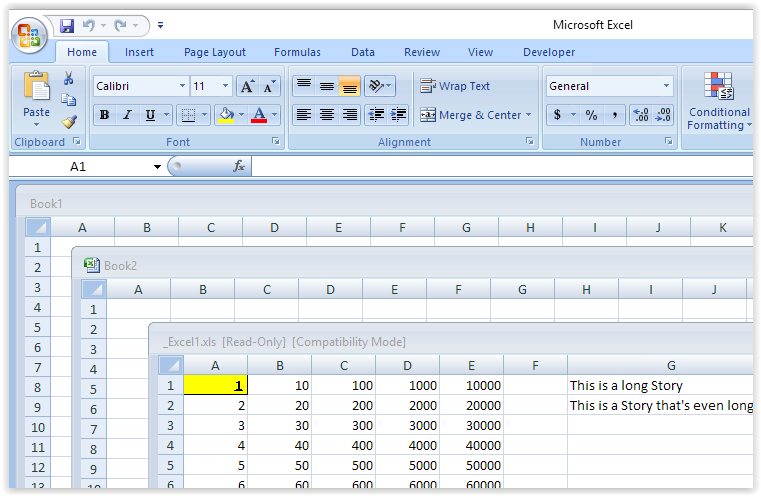 Now maximize your books within those 2 excel intances... and show me the titles again ! Do excel workbooks require dedicated excel instances? 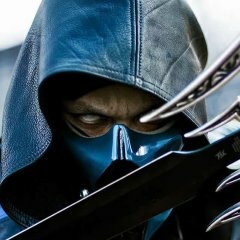 Quick question, when working with Excel, does each workbook require its own Excel instance, or can multiple workbooks be opened off of the same Excel instance? I tested both ways, on the surface they both seemed to work, just thought I'd ask here to make sure before proceeding any further. Thanks! Row 1 is 1 and value of column B is -1. Reading took: 276.06 Row 2 is not 1. Reading took: 163.36 Row 3 is 1 and value of column B is -1. Reading took: 302.58 Row 4 is 1 and value of column B is 1. Reading took: 294.65 Row 5 is not 1. Reading took: 152.33 Row 6 is 1 and value of column B is 1. Reading took: 284.92 The whole operation took 1473.9 milliseconds. I can't find that COM error listed anywhere... Anyone have any ideas? I'm trying to write an formula to the excel, but it actually does not write anything into the cell, any ideas? Preface: Column A is full of courses. Column B is full of usernames. If course (A1) exists, we check to see if username (B1) is enrolled. If user is found, the user is un-enrolled. Then Loop. I am working on a script that loops through an Excel file and pastes the content from A1 into a textbox in IE, does some stuff, then pastes the content from B1 into a different textbox. Then it loops around until all used rows in columns A and B have been accounted for. For some reason, column A loops properly but column B doesn't. B1 is pasted over and over again. So, as it loops, B1 is constantly being pasted, first accompanying A1's loop, then A2, and so on. The OpenExcel() func opens the Excel file the user specifies in an earlier function. It's supposed to gather the entire used range of columns A and B. The SearchCourse() func only uses column A, pasting its content into a Search tool in IE. This seems to be working fine. SearchResult() puts "Course Not Found" into column C if the search fails. If the search is successful, however, we move onto... EnterCourse(). This simply gets us to the place where column B's content comes into play. UnenrollNow(). Here, we paste the variable $_userName into a textbox. I don't know why it's always B1 Func OpenExcel() If Not WinExists($hWnd) Then MsgBox(16, "Window closed", "The Internet Explorer window was closed. Please start over.") _Exit() Else $oExcel = _Excel_Open() Global $oWorkbook = _Excel_BookOpen($oExcel, $ChosenFileName, Default, True, True) $oExcel.Sheets("CopyCourses").Activate ;~ Get all used cells in columns A and B $aSearchItems = _Excel_RangeRead($oWorkbook, 1, $oWorkbook.Sheets("CopyCourses").Usedrange.Columns("A:B")) ;~ Create the $aSearchResult array ReDim $aSearchResult[UBound($aSearchItems)] ;~ Loop through the array starting at 0 until the end of the array which is (Ubound($aSearchItems) - 1) For $i = 0 To UBound($aSearchItems) - 1 ;~ Column 0 ConsoleWrite($aSearchItems[$i] & @CRLF) ;~ Column 1 ConsoleWrite($aSearchItems[$i] & @CRLF) $aSearchResult[$i] = SearchCourse($aSearchItems[$i], $aSearchItems[$i]) Next _Excel_RangeWrite($oWorkbook, Default, $aSearchResult, "C1") ;~ When the loop is complete, run the Finished function. Finished() EndIf EndFunc ;==>OpenExcel Func SearchCourse($_sSearchResult, $_userName) If Not WinExists($hWnd) Then MsgBox(16, "Window closed", "The Internet Explorer window was closed. Please start over.") _Exit() Else _IENavigate($oIE, $urlBBCourseSearch) _IELoadWait($oIE) Local $oForm = _IEGetObjByName($oIE, "courseManagerFormSearch") Local $oSearchString = _IEFormElementGetObjByName($oForm, "courseInfoSearchText") _IEFormElementSetValue($oSearchString, $_sSearchResult) _IEFormSubmit($oForm) _IELoadWait($oIE) Local $oBBTable = _IETableGetCollection($oIE, 2) $aBBTableData = _IETableWriteToArray($oBBTable) Return SearchResult() EndIf EndFunc ;==>SearchCourse Func SearchResult() If Not WinExists($hWnd) Then MsgBox(16, "Window closed", "The Internet Explorer window was closed. Please start over.") _Exit() Else Local $sResult $iSearchIndex = _ArraySearch($aBBTableData, "Course ID", 0, 0, 0, 1, 1, 0) If $iSearchIndex = -1 Then $sResult = "Course Not Found" _Excel_RangeWrite($oWorkbook, Default, $aSearchResult, "C1") Else EnterCourse() $sResult = "UnEnrolled!" _Excel_RangeWrite($oWorkbook, Default, $aSearchResult, "C1") EndIf Return $sResult EndIf EndFunc ;==>SearchResult Func EnterCourse() If Not WinExists($hWnd) Then MsgBox(16, "Window closed", "The Internet Explorer window was closed. Please start over.") _Exit() Else Local $clickFail = "DATE CREATED" _IELinkClickByIndex($oIE, 34) _IELoadWait($oIE) $sourceCode = _IEBodyReadHTML($oIE) If StringInStr($sourceCode, $clickFail) <> 0 Then _IELinkClickByIndex($oIE, 35) _IELoadWait($oIE) EndIf $oLink = _IEGetObjById($oIE, "controlpanel.users.and.groups_groupExpanderLink") _IEAction($oLink, "click") Sleep(500) _IELinkClickByText($oIE, "Users") _IELoadWait($oIE) $aSearchResult[$i] = UnenrollNow($aSearchItems[$i], $aSearchItems[$i]) EndIf EndFunc ;==>EnterCourse Func UnenrollNow($_sourceCourseId, $_userName) If Not WinExists($hWnd) Then MsgBox(16, "Window closed", "The Internet Explorer window was closed. Please start over.") _Exit() Else Local $UserError = "No users found" Local $sResult $criteriaUsername = _IEGetObjById($oIE, "userInfoSearchKeyString") _IEFormElementOptionSelect($criteriaUsername, 0, 1, 'byIndex') $criteriaUsername = _IEGetObjById($oIE, "userInfoSearchOperatorString") _IEFormElementOptionSelect($criteriaUsername, 0, 1, 'byIndex') ;Paste whats copied from column B into the Username text box. Local $oForm = _IEGetObjByName($oIE, "userManagerSearchForm") Local $oSearchString = _IEFormElementGetObjByName($oForm, "userInfoSearchText") ;PROBLEM HERE... _IEFormElementSetValue($oSearchString, $_userName) ;^^^^^^ WHY IS $_userName ALWAYS B1 ??? Sleep(1000) _IEFormSubmit($oForm) _IELoadWait($oIE) $sourceCode = _IEBodyReadHTML($oIE) If StringInStr($sourceCode, $UserError) <> 0 Then $sResult = "User Not Found" _Excel_RangeWrite($oWorkbook, Default, $aSearchResult, "C1") Return $sResult Else MsgBox(0, "Unenrollment READY! ", "We're ready to unenroll foreal") $sResult = "DUN" _Excel_RangeWrite($oWorkbook, Default, $aSearchResult, "C1") Return $sResult EndIf EndIf EndFunc ;==>UnenrollNow Please let me know if any further information is needed. 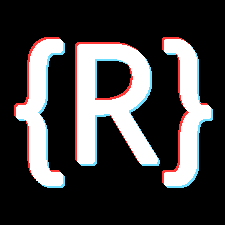 If you see other problems or redundancies in my code, please let me know.